Tina Kim, started her career as a real estate agent since 1986 where her exceptional performances and outstanding real estate services have always fulfilled every specific needs of her clients. In turn, Tina Kim’s reputation has brought Midas Realty a significant amount of referrals and returning clients from both her prior and existing clients. 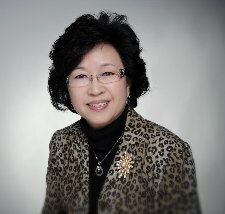 Dedicated to create thriving neighborhoods, Tina Kim, has served as President of the Korean American Realtor Association (K.A.R.A) from 2010 to 2011. By creating numerous real estate education, seminars and community events, we were successful in bringing awareness to the community and to connect the Korean Realtors, buyers and sellers to the right people for a better transaction. We have always worked in the best interest of our clients and our work ethics and dedication to the community have always delivered exceptional real estate transaction experiences to both buyers and sellers.